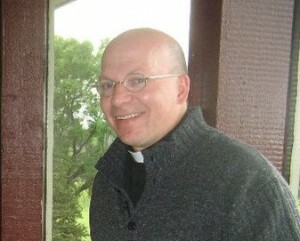 Next in our blog series, Fr. Bob discusses the third leg in the Catechism of the Catholic Church (CCC): how we live. The actual name of the section in the CCC is called “Life in Christ” and covers everything from vocations and morality to social justice and the ten commandments. Up to this point, we’ve heard about what we believe and how we worship. You’ll continue to hear from parishioner contributors on each of these topics. I remember once hearing the phrase ‘presence is truth’. I’m not sure who said it, or what the context was, but the words rang true. They express the simple fact that if I truly care about someone or something, then I will make the effort and take the trouble to be present when they need me. John Paul II was fond of saying that the modern world does not need more empty words. Talk is cheap. What the world truly needs is people who give authentic witness of their faith, people who really LIVE the faith, people who ‘put their money where their mouth is’. I remember a television commercial from my youth, showing a dad who was mowing the lawn, washing the car, and various household tasks. He had a 3-year old son who was following him around and imitating his every action. In the ad, the dad told his son not to smoke, but the ad ended with his boy attentively watching his dad light up a cigarette. Not hard to figure out how this was going to end. Actions speak volumes. Words are cheap. Our words can paint a pretty picture, but it is our actions which reveal what is in our heart. If I TRULY believe in God and if I believe the teachings of his Son, who founded our Catholic Church, then my actions will reflect what I believe. How many times did Jesus answer the question about loving God in this simple way: “if you love God, you will keep the Commandments…” So simple and yet so difficult. Catholic doctrine answers the question: what does a Catholic believe? Catholic morality answers the question: how does a believing Catholic behave? Morality is a demanding yet accurate litmus test of my faith. If I merely talk a good game, but am lax in understanding and living the richness of Catholic morality, then I have some soul searching to do. Lent calls us to conversion of heart, and is a most appropriate time for focusing on this aspect of my Catholic faith. I hope to see you at our upcoming Parish Mission. Fr. Richard Gill will be here to help us both rejoice in our faith and deepen in our living of the faith in a challenging world. See you there!